An inspiring story of family, love, hope, and resilience, Happy Island and the Typhoons is truly worth reading regardless of one’s age. With more than three decades as an educator, Antonia Babauta Lyzenga includes an element of learning in her writings. In her second book, she continues to channel that purpose through a remarkable story of hope, resilience, and determination. Intended for young readers, this inspiring children’s fiction novel will surely touch the hearts and minds of many. “Happy Island and the Typhoons” features the adventure story of Deno and Lela. When a big storm is heading to Happy Island, the two children did everything to keep them safe. However, its strength ultimately blows and destroys their home leaving them devastated and hopeless. Not only that, they both find out that their parents, Kim and Anna, had been fishing when the storm hit the island and are now missing. Now, these kids have to travel to another island and live with their Aunt Mina and Uncle Hector. Faced with the need to treat Lela’s cleft palate, the kids have to work hard in order to save money for the surgery. Meanwhile, readers will discover how Kim and Anna survive the great storm. They find themselves being washed up on a deserted island. Eager to return safely back home, the parents’ ultimate goal is to repair the boat so that they would be reunited with their children. As they explore the island and work to bring themselves back home, Kim and Anna make an important discovery. 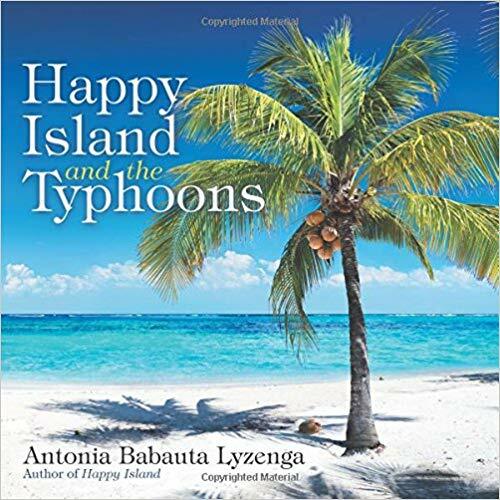 An inspiring story of family, love, hope, and resilience, “Happy Island and the Typhoons” is truly worth reading regardless of one’s age. Soon, Lyzenga’s remarkable children’s fiction will join the upcoming Los Angeles Times Festival of Books. Happening on April 13-14, 2019 at the University of Southern California, this grand literary gathering is definitely something that book lovers and literary fans should not miss! Antonia Babauta Lyzenga has worked as an educator for more than three decades and writes about the cultural insights of a small island. Lyzenga has three grown children and is a great grandmother. She and her husband live in Dayton, Nevada. This is her second book.